We repair and service Blueline inverters! If you’re in need of Blueline inverter repairs, or it’s time to get it serviced, you only need to make one call. Service My Solar is your one-stop shop for Blueline inverter repairs and service. We guarantee honest advice and quality workmanship so that you can get back to enjoying solar power sooner. 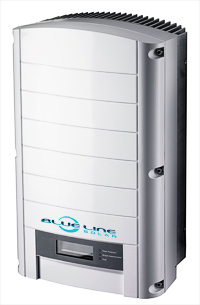 Blueline inverters are a complicated piece of equipment so it’s essential that they are repaired by Clean Energy Council Accredited Electricians. At Service My Solar, we use a thorough Blueline inverter service procedure to ensure your inverter is repaired quickly, correctly and in the most cost-effective way. In most cases, after our specially-trained technicians visit your property and inspect your inverter, they will source replacement parts from the manufacturer, repair the faulty parts themselves or recommend a new inverter should that be a more cost-effective solution. Please note warranty can’t be claimed on Blueline inverters, as the company has been liquidated. Call 1300 496 278 to talk to one of our friendly technicians about Blueline inverter repairs.